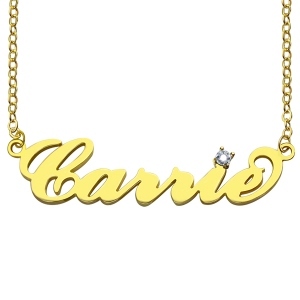 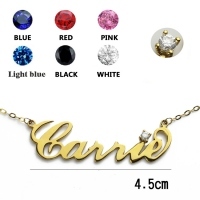 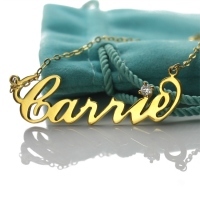 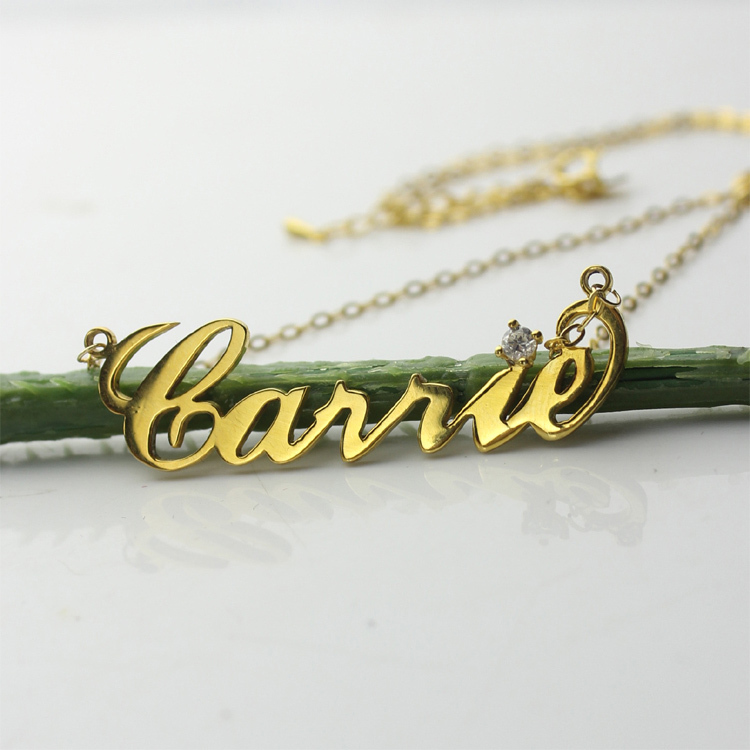 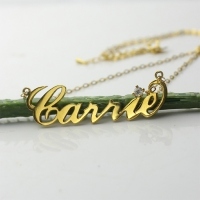 This Carrie Name Necklace in Gold with a birthstone will prove to be a worthy buy. 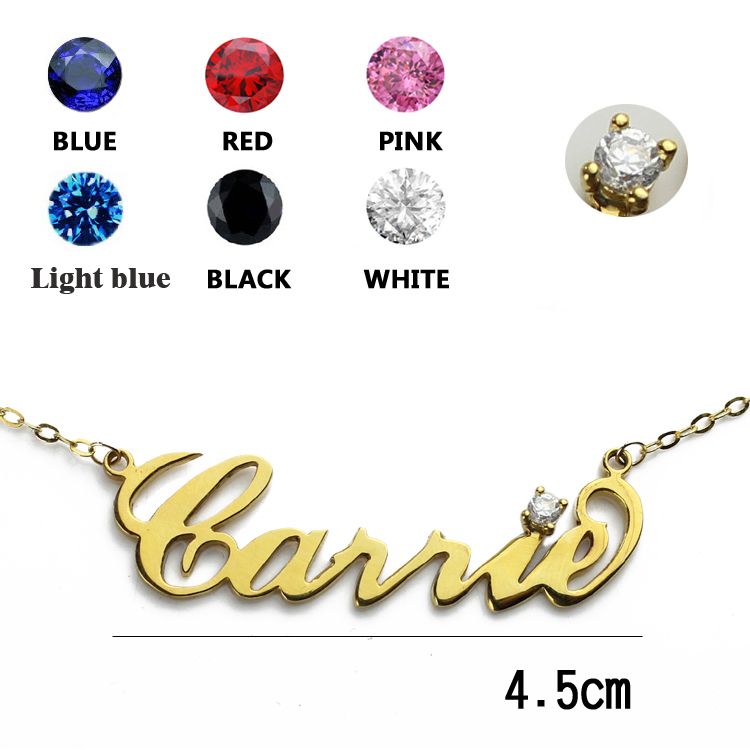 Choose your birthstone color and tell us if you’d prefer your gorgeous necklace in Sterling Silver 925. We can also make one or more for the name(s) of your choice.